Our video room suffers from lack of light so therefore this LED light panel was a great buy to present the correct ambience for videos. We’ve mounted this on top of our video camera and the quality of our shoots has increased massively. The light has 160 high power LEDs giving us a wider lighting range and brighter effect. The dimensions of the LED camera light panel is 6 inch x 4 inch x 1 inch. Most importantly, it has adjustable brightness and four colour filters included. The button on the back of panel light can be adjusted to meet different lighting requirements and the four filters are provided to take colour enhanced pictures. Compatible battery: The camera light is powered by an F550, F570, F770, F970 and other NP-F550 series Li-ion battery. It’s fully charged runtime is about 90 minutes. 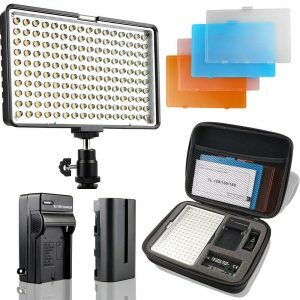 What’s included in the set is 1x 160 LED light, 1x rechargeable Li-Ion battery, 1x charger, 4x colour filters, 1x hard shell protective carry case, 1x adjustable hot-shoe mount. We provide IT solutions to Businesses and Home Users in Surrey, Hampshire and Berkshire. To get in touch, please send us a message on our Contact page. 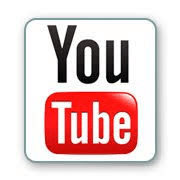 Subscribe to our YouTube channel and check out our latest videos. Copyright © 2018 Frimley Computing. All Rights Reserved.